South Florida won’t stop enjoying plenty of sunshine on Thursday and Friday, but the chance that an afternoon thunderstorm will interrupt the sunny weather is increasing. Low pressure and a front to our northwest will be blocked by high pressure near the Bahamas. But with a moistening atmosphere and a bit more instability, widely scattered thunderstorms will appear Thursday and become a bit more common on Friday. High temperatures will reach the mid-80s. 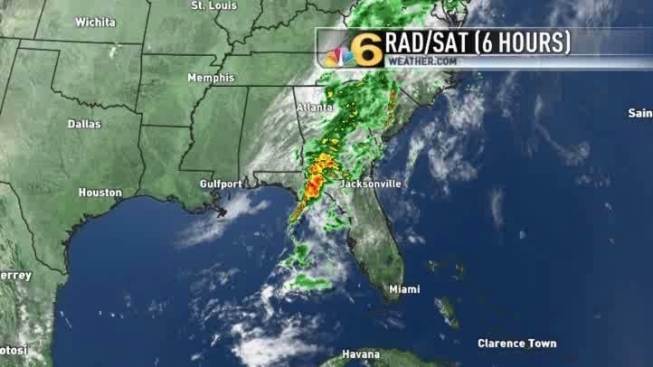 This weekend a stronger low pressure system and a cold front will track through Florida and could set off more widespread rain and thunderstorms, some of them quite strong.